A lot of fun is waiting for you in the new vlog for kids! 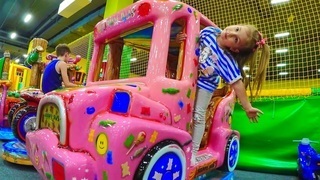 You will see how Yasya jumps on the playground, where there are various trampolines and soft colorful cubes. In the meantime, you will have the opportunity to enjoy Skip To My Lou song. Meet the compilation of the best children's videos online for free on Kivitu.com.